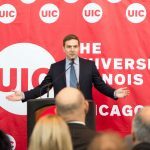 The University of Illinois at Chicago and Credit Union 1 celebrated the grand opening of the Credit Union 1 Arena Friday. 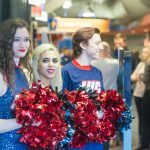 The UIC Pavilion is getting a new name as part of a 15-year agreement with the university valued at $9.3 million. 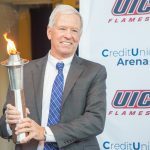 Under the terms of the agreement, which remains subject to review and approval by the Board of Trustees of the University of Illinois, the 9,500-seat multipurpose arena will be renamed Credit Union 1 Arena. 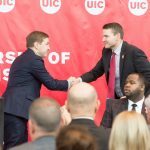 As an additional key term of the agreement in principle, Credit Union 1 will make a significant contribution of $750,000 toward supporting scholarships at UIC. The agreement is expected to be formally reviewed by the Board of Trustees at its meeting in January 2019. 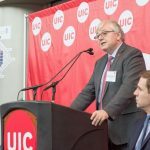 “We’re excited and we believe this is going to be a great way forward,” said Credit Union 1 Chief Executive Officer Paul Simons. Currently, the arena is where UIC students both begin and conclude their time on campus as the site of convocation and commencement. The building also hosts athletic events — including boxing and UIC men’s and women’s basketball games — concerts, special events and more. 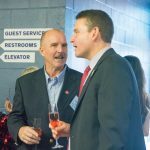 “Our mission statement in athletics is, ‘winning championships, changing lives,’ and with this strengthened partnership, this will allow us to do both at an all-time high,” said Garrett Klassy, director of athletics. 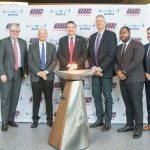 The UIC men’s basketball team hosted William & Mary Nov. 15 in the first event to recognize the reinforced partnership between Credit Union 1 and UIC. 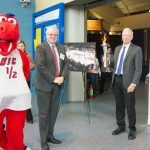 The partnership was celebrated again Dec. 1, when the Flames hosted the Loyola Ramblers.